4:45 A.M. BodyFlow Exp. *60 MIN. 8:15 A.M. BodyCombat *60 MIN. 5:55 A.M. Bodypump *55 MIN. 8:30 A.M. BodyFlow *60 MIN. 9:30 A.M. BODYFLOW *55 MIN. 8:00 A.M. CXWORKS *30 MIN. 7:10 A.M. CXWORKS *35 MIN. 9:45 A.M. CXWORX *30 MIN. 10:45 A.M. SH'BAM *60 MIN. 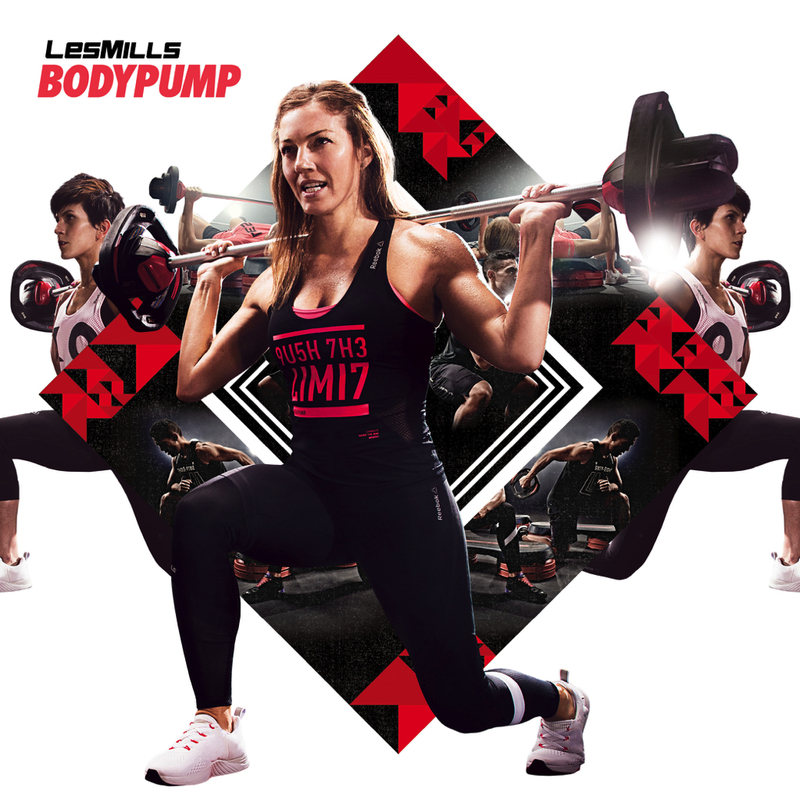 9:00 A.M. BodyPump *60 MIN. 10:30 A.M. GRIT *30 MIN. 10:15 A.M. Silver Sneakers 50 MIN. 10:15 A.M. Silver Fit 50 MIN. 12:00 P.M. BodyCombat *60 MIN. 12:10 P.M. BodyCombat Express *30 MIN. 1:00 P.M. CXWORX *30 MIN. 4:10 P.M. CYCLE GX *45 MIN. 5:00 P.M. GRIT CARDIO *30 MIN. 3:15 P.M. BODYPUMP *60 MIN. 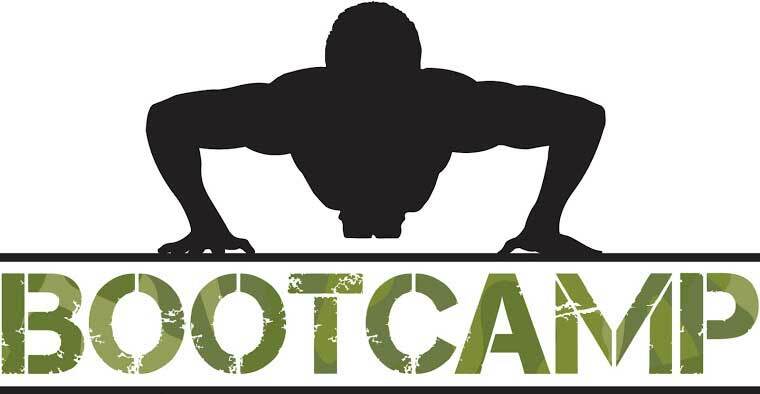 5:15 P.M. BOOTCAMP STRONG *45 MIN. 5:45 P.M. GRIT PLYO *30 MIN. 6:15 P.M. Body Combat *45 MIN. 5:15 P.M. BODYPUMP *55 MIN. 6:30 P.M. Grit Strength *30 MIN. 4:45 AM BodyFlow *60 MIN. 5:55 AM Bodypump *55 MIN. 8:00 AM CXWORKS *30 MIN. 12:10 PM BodyCombat Express *30 MIN. 4:45 A.M. BodyFlow Express *60 MIN. 5:15 PM BOOTCAMP STRONG *45 MIN. 5:00 A.M. GRIT *30 MIN. 9:00 A.M. ZUMBA *45 MIN. 10:15 A.M. BodyCombat *60 MIN. 4:45 A.M. BodyFlow *60 MIN. 12:00 P.M. Body Combat *60 MIN. 8:15 A.M. Body Combat *60 MIN. 10:45 A.M. SH’BAM *60 MIN. 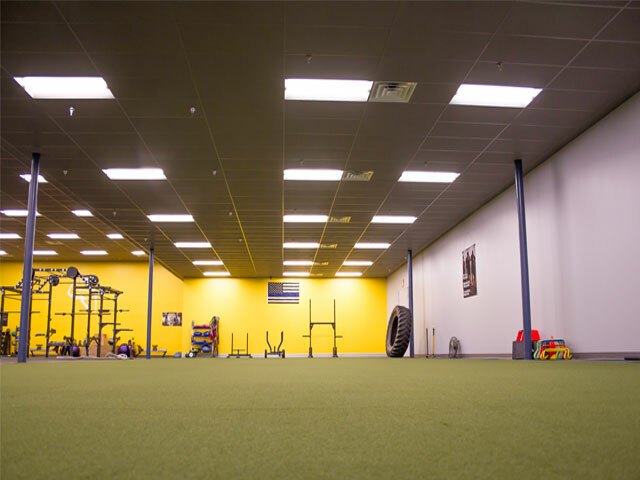 Turf Wars is a strength and conditioning class that focuses on increases your current fitness level through building muscle and burning fat by utilizing equipment on the turf which includes but is not limited to the regular weight sled, the butcher sled, the Yoke, hurdles, agility ladders, cones, sprints, and much more. Class consists of 4-5 AMRAPS(As Many Rounds As Possible that will last 10 min each. Partner work will also be incorporated to help motivate you while still working at your own pace. Strong by ZumbaTM. Perfect for fitness enthusiasts and students looking for a more challenging, high intensity interval training workout. Moving in sync with music makes you work harder. This class will push you past your plateaus to help you reach your fitness goals faster. Using your own body weight, you will gain muscular endurance, tone, and definition, and you will experience an increased after-burn. Cycle GX is a group exercise class done on stationary bikes. During the class the instructor simulates a ride. Together, you travel on flat roads, climb hills, sprint and race! It is truly a fantastic cardiovascular class. 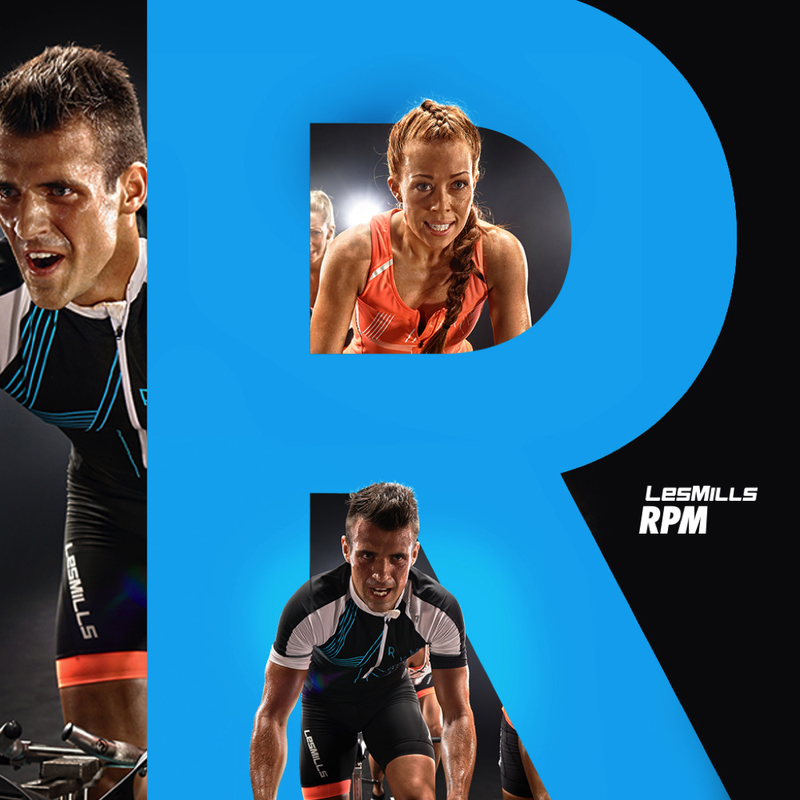 The beauty of indoor cycling is that you can do it even when its raining or snowing outside! You are kept motivated by the instructor, the people around you and by the music! Make sure to bring a towel and water bottle! Rotated inside and outside per weather patterns this class is high intensity interval training modified for individual exercise limitations. It is mostly body weight exercises(i.e. push ups, squats, burpees) with a little running/jogging. the focus is on dynamic, multi joint movements to enhance range of motion and strength. Intense blocks of work for short bursts of time(20sec-1minute) per exercise with short breaks between blocks are a focus of criteria. High Intensity Interval Training(HIT) is a system of organizing cardio respiratory training which calls for repeated short bouts of short high intense duration exercise intervals intermingled with periods of lower intensity of active recovery. On a 1-10 scale of perceived exertion, high intensity can be considered anything over and effort level of 7 or 80% of max heart rate. 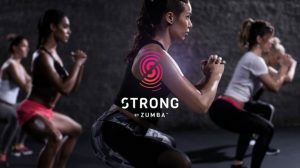 Zumba Enthusiasts who want to add another dimension to their workout! This class uses weighted Zumba Toning sticks similar to maracas! By utilizing such the participant is able to keep their muscles more engaged throughout the workout! Come on in, and join the party!